THE KNOLL!!! 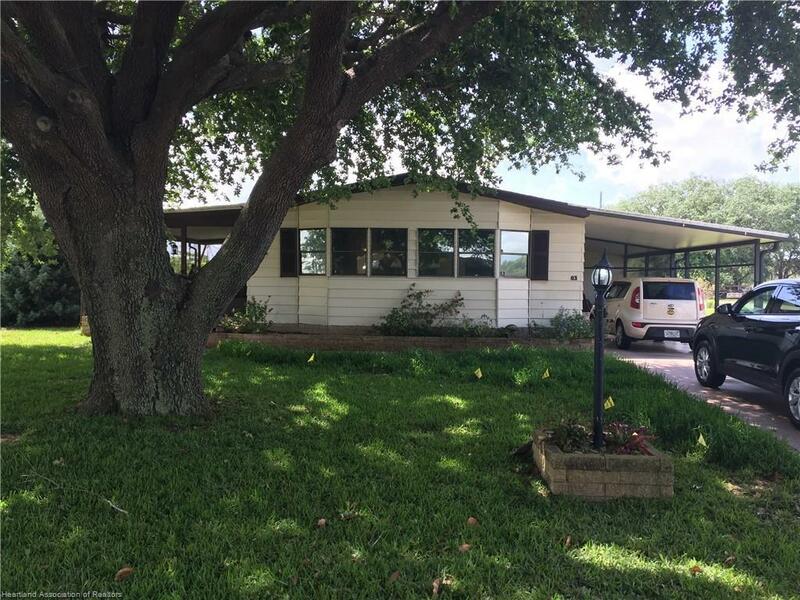 Beautiful 2 bedroom 2 bath in prime location on a corner lot with peaceful view of a large pond across the street and the back yard faces a mixed wooded Reserve. Home features newer wood laminate flooring in the main part of home and Acacia wood floors in the bedrooms, even the closets! Also features in home (8 x 8) laundry room with cabinets and counter space, kitchen with unique curved counters and breakfast nook that has beautiful built in buffet. Home has a spacious feel with sliding glass doors on either side that open to screen rooms. Also freshly painted ceilings and interior throughout home except where paneled per owner. Lots of extra storage with under carport utility room and storage shed in the back yard. Being sold as is with time for inspection. © 2019 Sebring MLS. All rights reserved. Information deemed to be reliable but not guaranteed. The listing is courtesy of a cooperating agent. The data relating to real estate for sale on this website comes from Sebring MLS and the Broker Reciprocity Program.sm. Real estate listings held by brokerage firms other than Worden Realty are marked with the BR logo and detailed information about them includes the name of the listing brokers. Listing broker has attempted to offer accurate data, but buyers are advised to confirm all items. Information last updated on 2019-04-24 09:26:17.